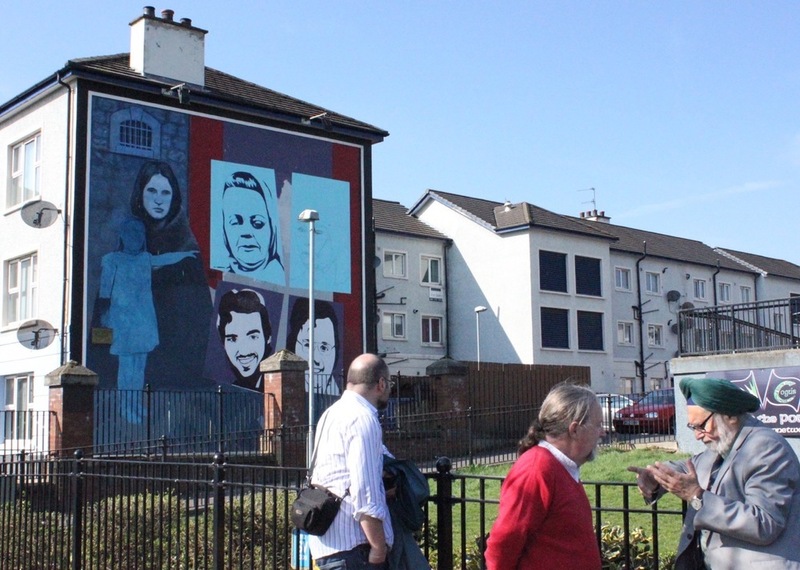 Recently I attended a cross community one day event called ‘Art, Faith and Peace – The Bogside Artists: the Story Behind the Murals. The event took place in Londonderry/Derry Northern Ireland. 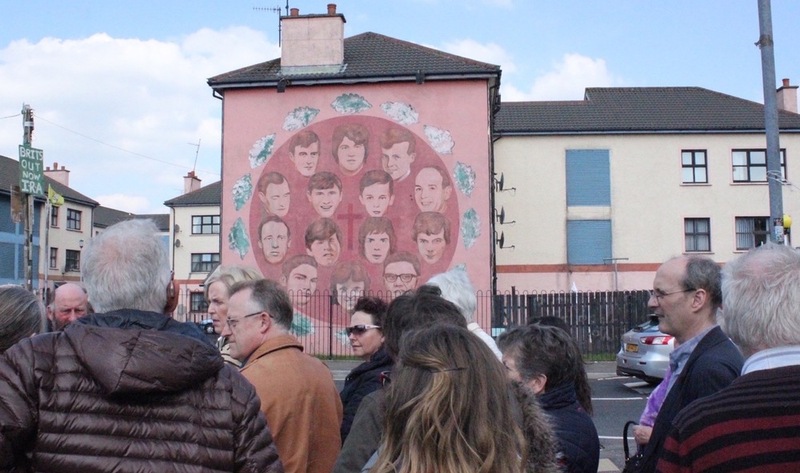 The organizers said the event offered an opportunity to learn about the story of faith and hope that lay behind “the city’s well known – but often little understood – Bogside murals”. 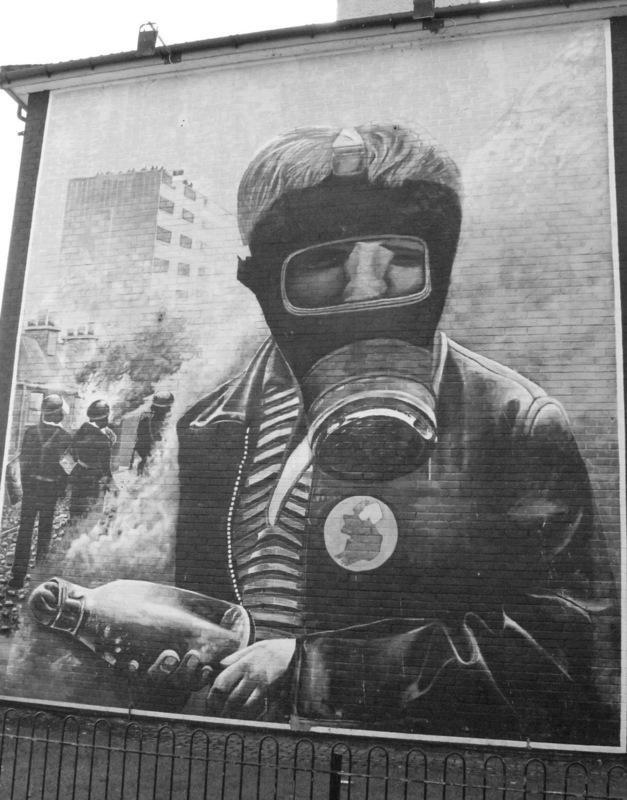 The work is site specific, telling the story of what happened in that area of Derry during the Troubles. 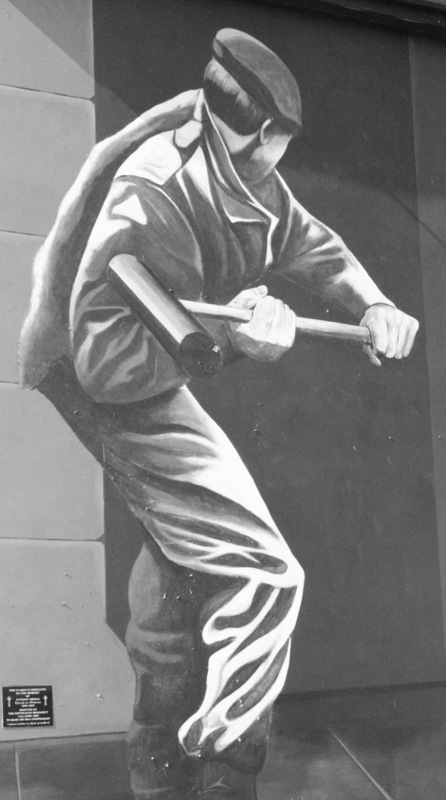 The murals are the work of the Bogside artists, brothers Tom and William Kelly and their friend Kevin Hasson. The event included an hour-long guided walking tour of the People’s Gallery, led by one of the three men who painted the murals, Tom Kelly. 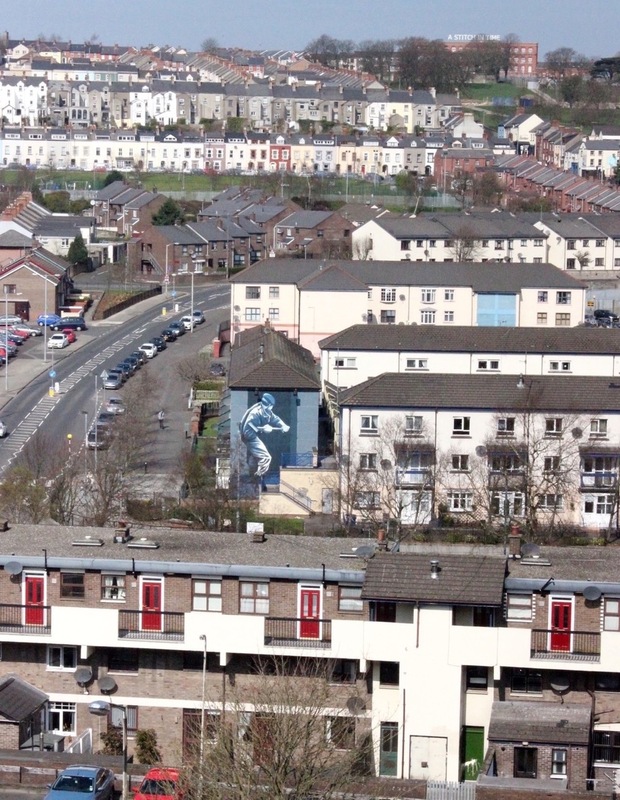 Tom – who leads the Wellspring Christian Community in the Bogside – recounted his personal journey of faith, which led him to become a committed Christian. He also took part in an ‘In Conversation’ event with the Cambridge-based philosopher of art, Dr Adrienne Chaplin, in which he discussed the role of faith in his work, and the potential of art and storytelling to promote healing and peace.